Last fall, two different wildfires destroyed huge swaths of California. The Camp Fire in Northern California covered 153,336 acres, destroyed nearly 20,000 structures, and killed 85 people; it also left a shroud of smoke and ash hovering over the area. Public schools in five Bay Area counties were closed, and residents were warned to stay inside and protect their lungs from the dangerous air quality. Stores for miles around sold out of everything from surgical masks to the recommended N95 painter’s masks — the only kind that can effectively filter 95 percent of the tiny particles that do the most damage to your lungs. Walking around the Bay Area in the weeks following the Camp Fire felt like living in a dystopian future — the sky a matte grey, the sun a red, alien-like orb, the streets empty save a handful of souls, nearly all wearing painter’s masks or bandannas or scarves over their mouths. Those two weeks might have been not just a dark blip, but rather a glimpse into our collective future. And there are entrepreneurs poised to capitalize on it. Because in the tomorrow that the Camp Fire portends, we’re all going to need a good face mask. 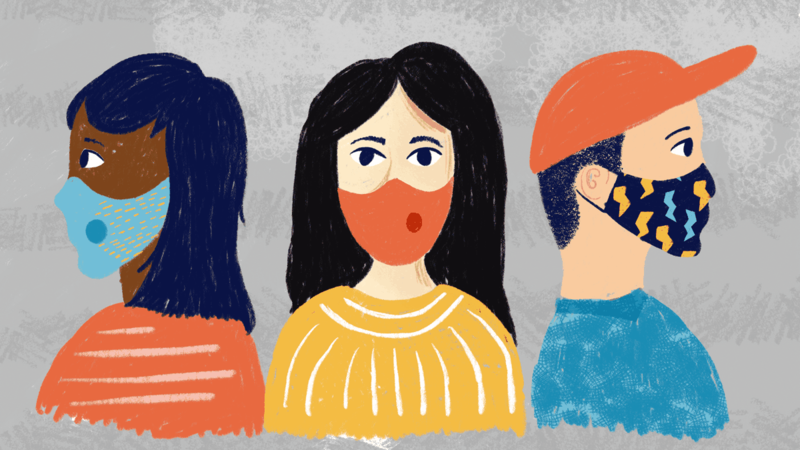 Air filtering masks are already popular across Asia, but will they become common in the US?